A Day of All Things Drama - A day committed to the learning, development and enjoyment of drama skills, including improvisation, devising, script work, voice and the physicality of the actor. 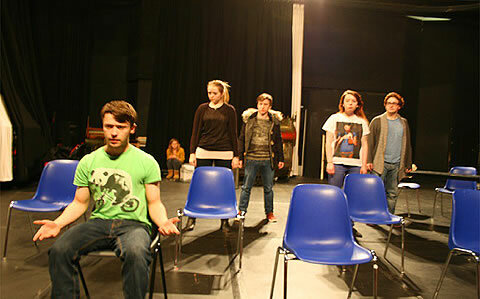 Year 9+/GCSE Revision Course – Aimed at students considering GCSE or A-Level study of Drama. This workshop works very much in the same way as those previously outlined but has a much more focused academic objective. 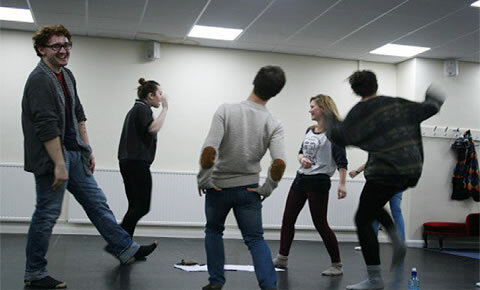 Key Skills Workshop – The goal of this workshop will be teaching and developing skills through the use of acting exercises that students can use in a number of different personal and work situations, e.g. job or college interviews, public speaking and confidence building. Pure Creation Workshop – This workshop is suitable students who are interested in both Drama and Dance and will focus on physical theatre and how the two disciplines can work together. Another focus for the day is introducing students to alternative forms of performance that they may not have encountered before, including immersive theatre and performance art. It is widely recognised that students all learn in different ways and that the arts can be used to consolidate learning of a wide variety of subjects. The Partnership Workshop is designed to enhance the learning of different subject areas and topics through the medium of drama by allowing students to work creatively around a topic area and explore it in another way. This draws on the practice of Theatre in Education which is widely used not only in the UK educational system but around the world as a key teaching method. This workshop works particularly well with English Literature, History and Religious Studies as well as other Humanities. There are a number of ways in which this workshop can work and can be adapted for any age group and subject. Some examples include an exploration of a key text for English GCSE or a workshop which focuses on Civil Rights and Apartheid as part of Citizenship and R.E.